The 3-in-1 fan, evaporative air cooler and humidifier from Quilo™ is an innovative product developed to keep you comfortable all year round. The essence of the Quilo is to maintain a high standard in terms of the air quality around you, without harming the environment. To achieve this, the Quilo™ team has come up with a groundbreaking technology to develop a sustainable product that is climate-friendly, yet extremely powerful performance wise. 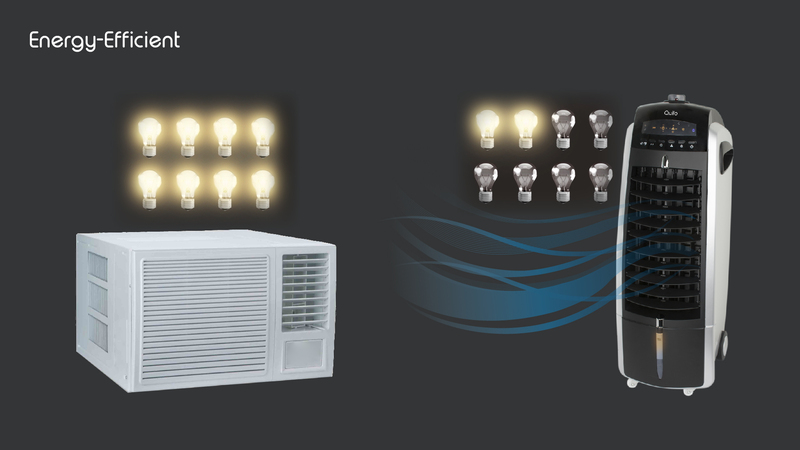 While most air conditioners and air coolers typically use an AC motor for power, the Quilo™ has been developed using a patent-pending brushless DC motor. You’ll find that a universal DC motor is usually used to power devices like laptops. 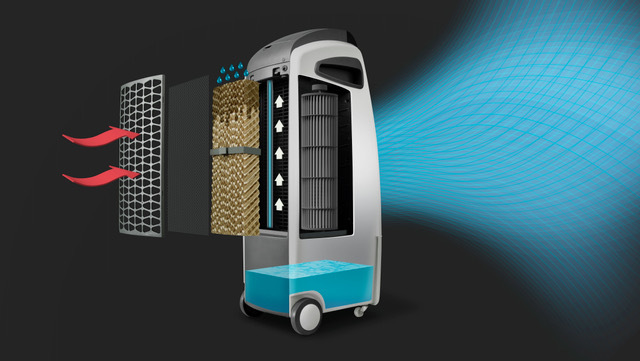 Quilo™’s innovative take on this technology and utilizing it for the first time for an evaporative portable cooling device is the key to making the Quilo™ an energy-efficient device. While the German design perfectly enables it to enhance your living space. 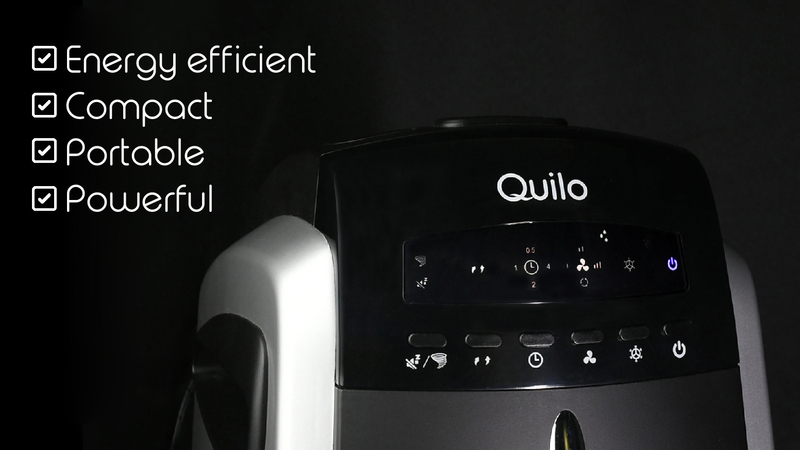 As a state of the art cooling appliance, the Quilo ticks all the right boxes. This 3-in-1 fan is exactly what you need when the scorching heat outside gets unbearable. The Quilo™ will reduce the temperature by up to 20 degrees Fahrenheit in your room in no time. There is a dedicated ice compartment for you to put some ice and quicken the process of cooling when you’re really feeling the heat. You could also fill the water tank with water to transform the fan into an evaporative air cooler and feel the cooler recreate a natural lake breeze in your home from the incoming warm air. 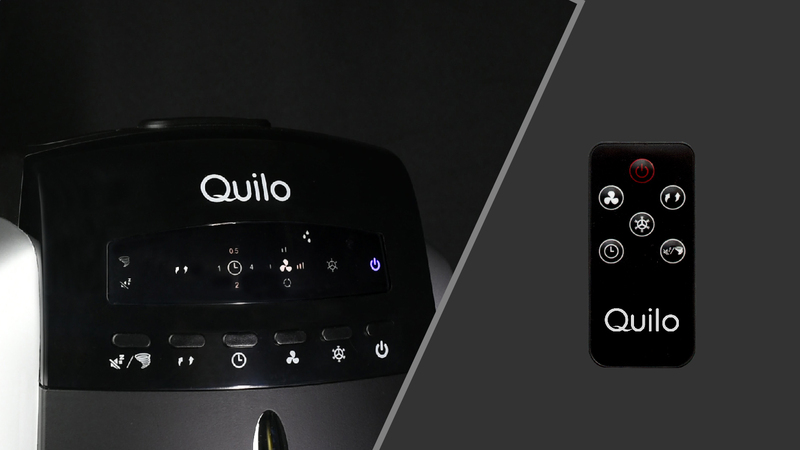 In winters, the Quilo™ transforms into a humidifier by filling water in the tank, which adds moisture to the air. This way, your skin remains hydrated throughout winter. Unlike other swamp coolers, with noise levels of around 70 dB, the Quilo™ is a much quieter option, measuring approximately 25 dB. Enabling the sleep mode offers a soothing and soft sound of streaming water, relaxing your senses while you doze off, while an amber light, indicating the water level, also adds to the ambience. The Active Carbon Filter helps filter out dust particles and odor-causing pollutants from the air. As compared to the 500 watts of electricity consumed by the average air conditioner, the Quilo™ barely consumes 8 watts, which is the same amount of electricity consumed to charge an iPad. In a world where climate change is an increasing problem, the Quilo™ is a sustainable device that doesn’t use compressors, refrigerating gases or generate greenhouse gases. The Quilo barely consumes 8 watts. Covering just 160 sq. feet, the Quilo™ is designed to fit into any kind of space and enhance its surroundings. It is a lightweight device, weighing approximately 13.2 lbs, making it very convenient to move it around and store it away when it’s not required. Durable caster wheels, side handles and a detachable power cord enable you to maneuver the Quilo™ effortlessly. The device comes with a sleek remote that works from as far as 12 feet away. So, head on over to Quilo™’s Kickstarter page where you can get your 3-in-1 Quilo™ at very reasonable prices!